Finally a bit of good news on the environment front. 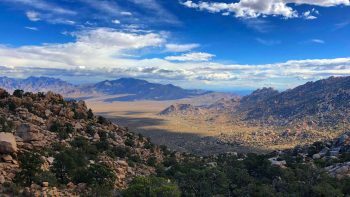 — The US Senate on Tuesday approved a major public lands bill that revives a popular conservation program, adds 1.3 million acres of new wilderness, expands several national parks and creates four new national monuments. The Senate just passed the decade’s biggest public lands package. Here’s what’s in it. The bipartisan measure would create more than 1.3 million acres of wilderness out West, add three national park units and expand eight others. “It touches every state, features the input of a wide coalition of our colleagues, and has earned the support of a broad, diverse coalition of many advocates for public lands, economic development, and conservation,” said Senate Majority Leader Mitch McConnell (R-Ky.). But in a sign of the trade-offs activists made in the legislation, Groene noted that only half of the river running through these canyons will be protected since only Emery County endorsed the bill. “We’ll have to come back and protect the other half of the river later.” The sun sets on the Mojave National Preserve in Kelso, Calif., on Tuesday, Feb. 5, 2019. The public lands bill passed by the Senate Tuesday would connect the preserve with Death Valley National Park.